Hazards associated with working at heights are one of the leading causes of injury and death in Ontario workplaces. Both the Industrial and Construction regulations mandate that workers be trained in the preventive measures, procedures and the safe use of personal protective fall prevention and arrest equipment before working at heights. 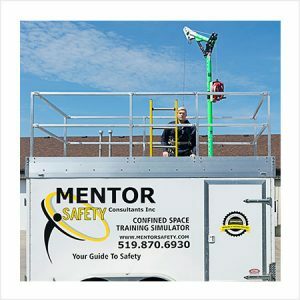 The Confined Space Entry program teaches the information every employee needs to know in order to avoid accidental exposure to danger when performing work related tasks.